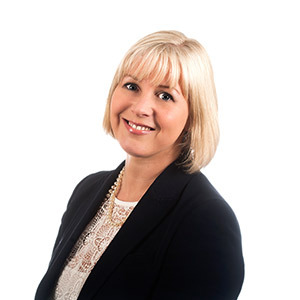 Cathy MacCracken, partner at Birchall Blackburn Law, discusses what the firm has done to create a dementia friendly workplace. We understand how daunting it can be for people to visit a solicitor’s office for the first time, so to come when you have had a life-changing diagnosis can feel terrifying. Fortunately, the days of a solicitor sitting in a booklined office, behind a huge desk piled high with files are largely gone, but there is still much the legal profession can do to be more accessible to clients and even more to start creating dementia friendly environments. As a firm specialising in legal issues affecting older or vulnerable clients, our team meets clients who are living with dementia and their families daily. We realised we needed to do more to understand how our behaviours and our office environment can affect clients living with dementia. Only by understanding could we work out what changes we needed to make. Our first step was to ensure that everyone in the team, including reception staff, had a basic understanding of the challenges faced by people living with dementia. So, all these staff became Alzheimer’s Society Dementia Friends. We ran further training sessions on handling telephone enquiries and our approach to clients who visited our offices. Having completed this step in having educated and trained staff, we started to look at our physical environment and client services, it quickly became clear that small changes in our speech, instruction, office layout and written work could make a huge difference to our clients. So now when clients visit our offices, rather than saying “after you” when showing them to our meeting rooms, we say “please follow me” which avoids confusion and potential stress. Our internal signage has been reviewed to make sure it’s accurate, at eye level and easy to follow. We recognise that when we sit directly opposite a client and immediately start to take notes, it could be intimidating. So, now we sit away from a desk and to one side. We put them at ease by having a general chat before we even broach the subject of why they have come. By avoiding the use of legal jargon and using shorter sentences we find that clients are more relaxed and find it easier to communicate their needs. We’re changing the colour of the door mats in offices so black mats don’t look like holes and we are offering coloured cups with handles to facilitate safer drinking. We’re constantly looking for ways to improve and roll out the dementia friend initiative across all our offices and staff. The most important thing that you can do is create a well-trained and caring workforce. By getting the whole team on board, the rest of the changes will fall easily into place. As legal professionals we need to make sure we help our clients access the right legal advice and this is never more important than for the legal issues that face clients and their families who are living with dementia.